28 April 2015, Cape Town. 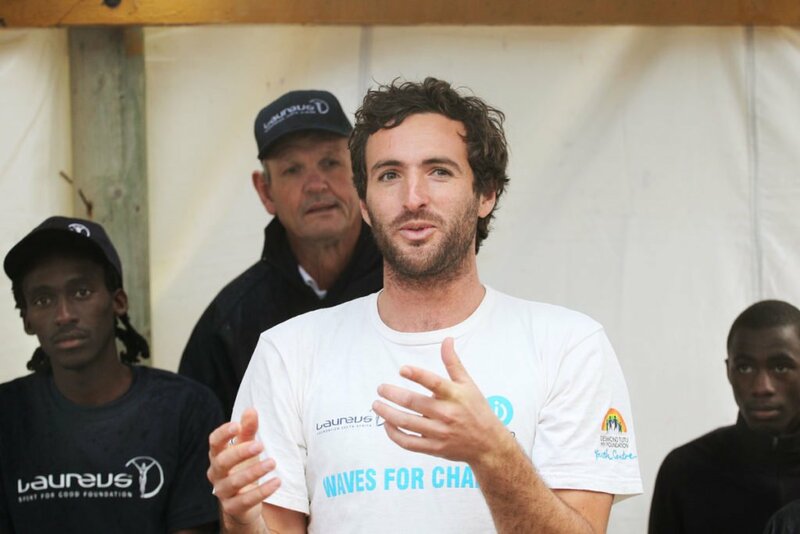 Tim Conibear, founder of the Laureus-supported Waves for Change initiative, which uses the sport of surfing to provide therapeutic benefits to young adults in some of Cape Town’s most unstable communities, has been awarded a prestigious Ashoka Fellowship. Ashoka Fellows are leading social entrepreneurs who we recognize to have innovative solutions to social problems and the potential to change patterns across society. Tim joins the fellowship which works in over 70 countries around the world in every area of human need. Tim, who arrived in Cape Town in 2009 to work on a vineyard, started surfing with local kids from the Masi Township and decided to start an initiative to try to counter the difficult experiences they were dealing with in their personal lives. “It’s amazing, the Ashoka Fellowship is a network of Global Change Makers looking at new ways of addressing social issues so we’re looking at childhood trauma and the social effects of that on the heathcare system. We know that outdoor sports and surfing naturally help kids create a new self-concept which is the main thing damaged through trauma. Tim, 33, from Oxford in England, has grown the organisation from himself working with a small group of young people, to a large number of coaches from the Masi Township working on the initiative. “I’ve been in South Africa for 6 years”, says Tim, “I came initially to work on a Vinyard but started surfing with kids from the Masi Township. I formed quite tight bonds with the kids and we were introduced to Laureus who came in with some funding and we’ve just gone from strength to strength since then.